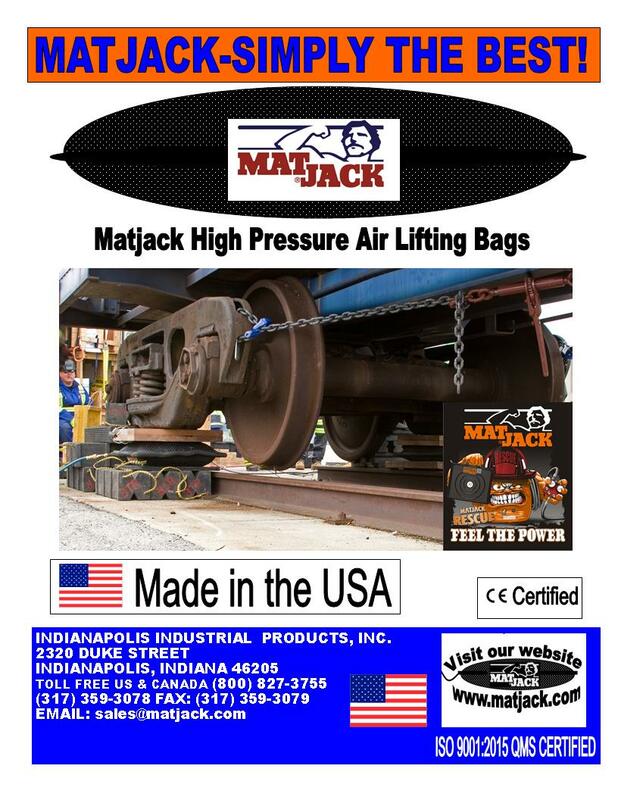 Matjack High Pressure Air Lifting Bags - Indianapolis, Indiana - Matjack, Inc.
MatJack high pressure air lifting bag require only 1" clearance and can lift up to 86 tons with the touch of a button. 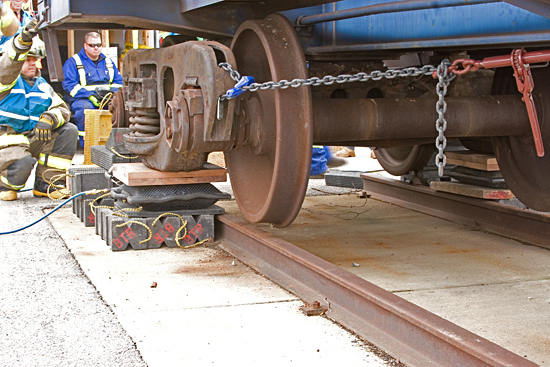 Primarily used in low insertion height situations with heavy weight needing to be lifted such as; buildings, bridges, vehicle or structural rescue, load shifting, heavy truck or aircraft recovery and machinery moving to name a few. Matjacks unique construction of four full layers of Aramid Fiber per side used primarily in applications such as rescue where product lighter weight is a benefit or three full layers of woven steel per side,used in rugged, demanding, high duty cycle applications such as building lifting, machinery and recovery, both provide for a lifting bag unequalled in strength and durability. 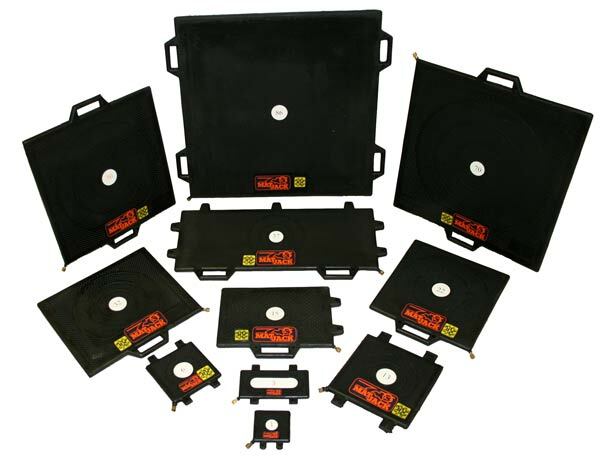 Matjack high pressure air lifting bags are made in the USA, are ISO 9001/2008 and CE Certified and boast an industry best 5 year unconditional warranty! All Matjack high pressure air lifting bags are marked with a distinct "bulls eye with tonnage rating" for ease of centering under the load and picking up the correct tonnage bag if in a hurry and low visibility situation. 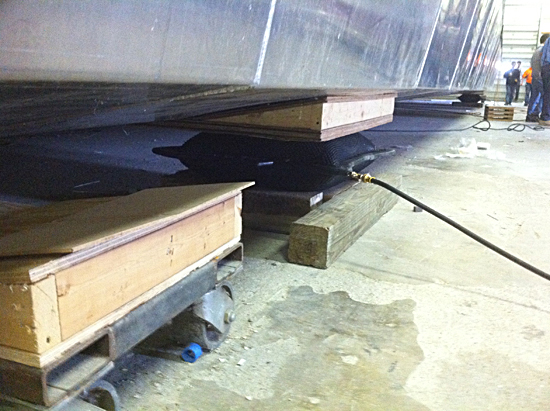 All Matjacks have a conical, interlocking surface to limit slippage and aid in stacking. All Matjacks have either carry handles or tabs/eyelets molded right on for lifting or attaching to fixtures. The Matjack push button, deadman or joy stick controller allows for independent or simultaneous operation of one or more airbags. Supply hoses are color coded to help eliminate confusion during simultaneous operation of more than one air bag. Available in a variety of sizes and ranging in lifting capacity from 1.5 tons to 86 tons, the Matjack air lifting bag system is efficient, economical, safe and reliable. MAKING THEM SIMPLY THE BEST!